Worldwide Pyramids: The Result of Atlantean architecture? Have you ever wondered why there are so many Pyramids scattered across the globe? It doesn’t matter where you look, from Asia, Europe, Africa and the Americas for a reason we are unaware of, ancient cultures erected massive pyramids all around the globe. Why ancients civilization built these massive monuments is one of the greatest mysteries archaeology has not been able to answer so far. Until today, we are still not sure how ancient man erected these pyramids nor are we sure what they built for in the first place. Where these ancient structures toms as archaeologists suggest? Or do Pyramids have a hidden purpose? One that we have still not uncovered? We only know that there are thousands of pyramids all across the planet. When you think about it, it is extremely interesting. Mainstream scholar claim that thousands of years ago, ancient cultures around the globe were not interconnected, meaning that people from the Americas were not in direct contact with people from Africa, Europe or Asia. 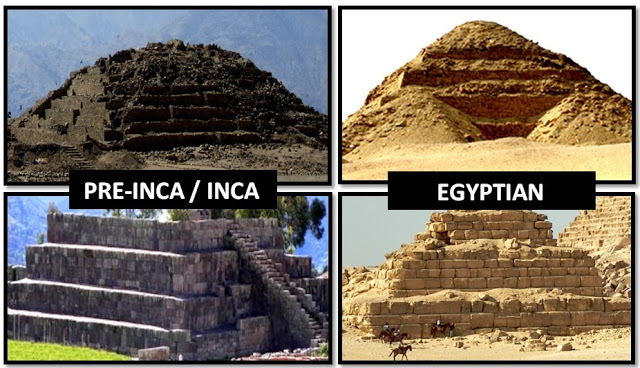 For some reason, all of these ancient cultures decided to build massive pyramids, and most of them are eerily similar. Did ancient cultures around the globe decide to build pyramids randomly? Or did they follow a particular pattern set by an unknown culture that predates all ancient cultures known to history? Recently researchers in Kazakhstan discovered the first Pyramid in that part of the world, and it turns out that it predates the Egyptian Pyramids by a staggering 1,000 years. This means that the ancient Egyptians were not the first Pyramid building civilization and that pyramids existed long before the ancient Egyptians decided to erect them. Interestingly, the largest pyramid on the planet isn’t the Great Pyramid of Giza as many believe. While the Great Pyramid of Egypt is one of the biggest pyramids on the planet, the truth is that there are other structures that are even larger, and could even possibly be much older than the structures found in Egypt. We only have to take a look in Mexico where we will find the Great Pyramid of Cholula. This massive ancient monument is the world’s LARGEST PYRAMID, in size, this Pyramid is compared to NINE Olympic-sized swimming pools. Researchers have no idea who built this massive structure, but legends say it was erected by Giants. But there are more fascinating ancient pyramids scattered across the globe. The massive pyramids in China are perhaps the most secretive structures on the surface of the planet. Little is known about these massive pyramids which have been photographed numerous times by pilots overflying the region. The story behind the Great Pyramid of China is beyond fascinating. For years, the government has not allowed proper studies to be performed on the numerous pyramids near the city of Xi’an. Excursions that managed to sneak into the area where the pyramids are discovered numerous anomalies like a metallic material which could not be identified by researchers. The Pyramids of China are believed to be over 8,000 years old. If we travel all around the globe w will eventually stumble across Peru and the ancient Pyramids of Caral. Around 5000 years ago, ancient Peruvians settled at Caral and created one of the most advanced and oldest civilizations in South America. Their knowledge in several sciences has left today’s researchers perplexed and unable to answer the many mysteries behind the greatest South American civilization to develop independently. 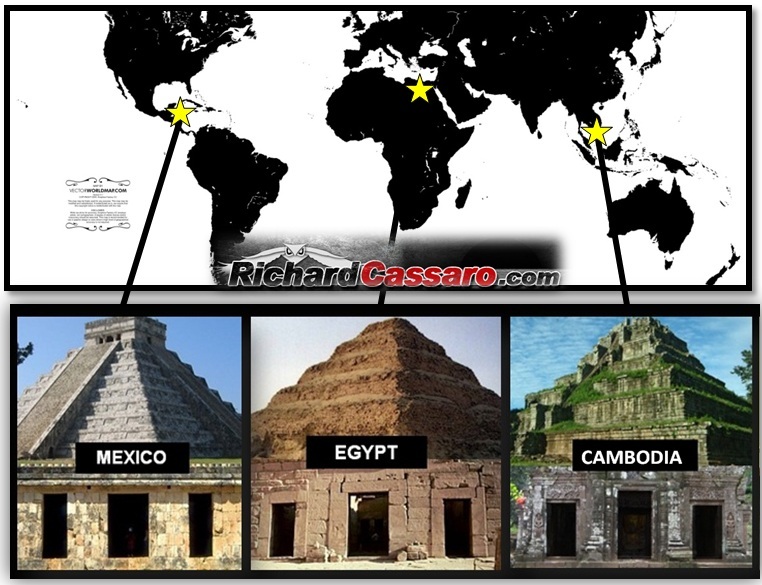 Pyramids Connection” or the “Mexico-Egypt-Cambodia Pyramids Connection.” -Richard Cassaro. Over 5,000 years ago this ancient civilization from Peru created fascinating Pyramids. It’s very likely that in history books you never read about these fascinating Pyramids, let alone the civilization that is behind their construction. According to many experts, the Pyramids of Caral are contemporary with Egyptian Pyramids (3200 BC). However, there are numerous other pyramids worthy of praise. We cannot look past the Bosnian Pyramids located in Visoko, Bosnia / Herzegovina which have been debated among experts ever since Dr. Sam Osmanagić discovered the Pyramids. Dr. Semir Osmanagić and his team have spent over 340.000 man-hours in archaeological excavation, sample testing, and radiocarbon dating in the period from 2005 to 2013. The Pyramid of the Sun, with its 220 meters height, exceeds the Great Pyramid of Egypt, which measures 147 meters (height). But what we find mind-blowing is the fact that the Pyramid’s orientation to the North is accurate with an error of 0 degrees, 0 minutes and 12 seconds. Incredible precision and this is where the Bosnian Pyramid of the Sun has an amazing fact in common with the Great Pyramid of Egypt. We also have to mention the Pyramid of Gunung Padang, which according to many is the largest and oldest pyramid on the planet. Numerous researchers argue that Gunung Padang is the ultimate evidence which points towards a highly sophisticated, previously unknown civilization inhabiting the area, and much of this ancient and ‘controversial’ history is being challenged in every possible way, by mainstream researchers. Analysis of core samples of Gunung Padang revealed incredible dates; the deeper researchers looked, the deeper the mystery got. The site was believed to date back at least 5000 years, then 8000 years to 10,000 and eventually to a reported age of 23,000 years. This means that Gunung Padang is not only the oldest megalithic site on the planet, it is also the oldest Pyramidal-shaped structure known to mankind. 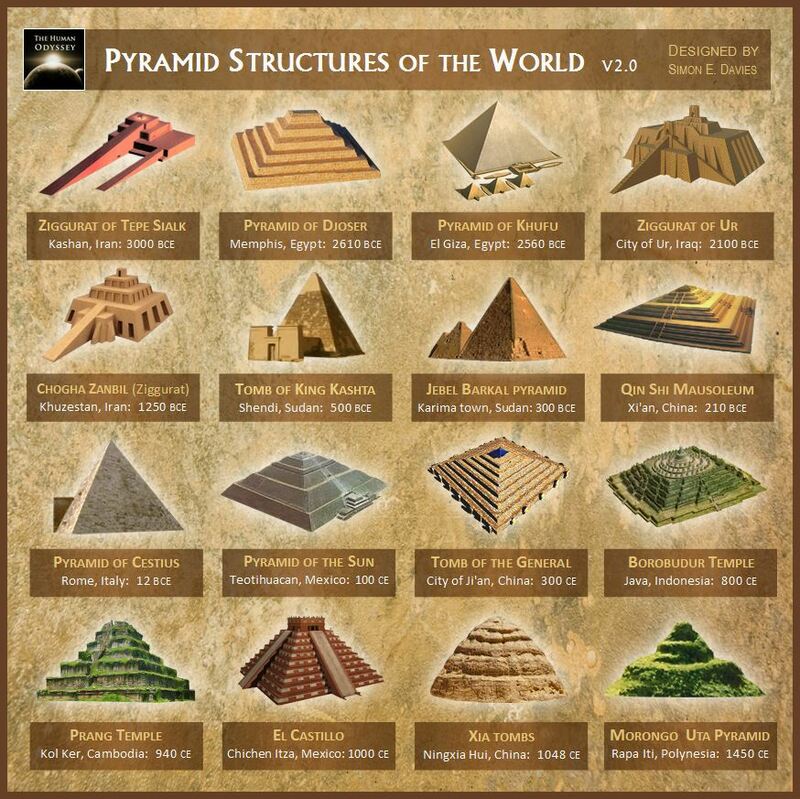 As you can see, different cultures from different periods in history built pyramids all around the globe. Regrettably, researchers have not been able to answer the most important question about these magnificent structures: Why Pyramids? Why did ancient cultures around the globe decide to build these fascinating structures, and why are so many pyramids eerily similar? Better yet, why are these thousands of pyramids of different shapes and size? Did all of the pyramids around the globe come into existence because coincidentally, all ancient cultures had similar ideas? Or is it possible that all ancient cultures like the Ancient Egyptians, Maya, Aztecs, Inca, Tiahuanaco, and others follow a predefined pattern set into place by a civilization that predates all of these ancient civilizations? What if Pyramids around the globe are in fact the result of Atlantean Architecture? Or, if you are among those who believe that Atlantis never existed, what if Pyramids are the product of an Atlantean-like ancient civilization that set into place, thousands of years ago before written history, patterns on how and why pyramids were to be built around the globe. It’s really hard to imagine that all of the above mentioned ancient civilization decided to build pyramids randomly.